New members are welcome. We look forward to meeting you and having you participate. Click here for a slideshow from the First formal meeting in our new home 12/18/2010. Please join the Society and help with their history preserving works. Annual dues are only $15.00 and your membership includes quarterly issues of the Society's Newsletter. The Newsletters contain Pendleton County biographies, church records, historic events, military information, pictures, research tips, and much more! As a member, you are also entitled to submit queries and list the ancestors you are researching. Many very dedicated researchers are not on the Internet, the Newsletter is a great tool to aid you in your own research. Members names, addresses, e-mail addresses (if they have one), phone numbers (in most cases), and the names of their ancestors, are listed in each issue. You may also send much needed voluntary donations to the above address. 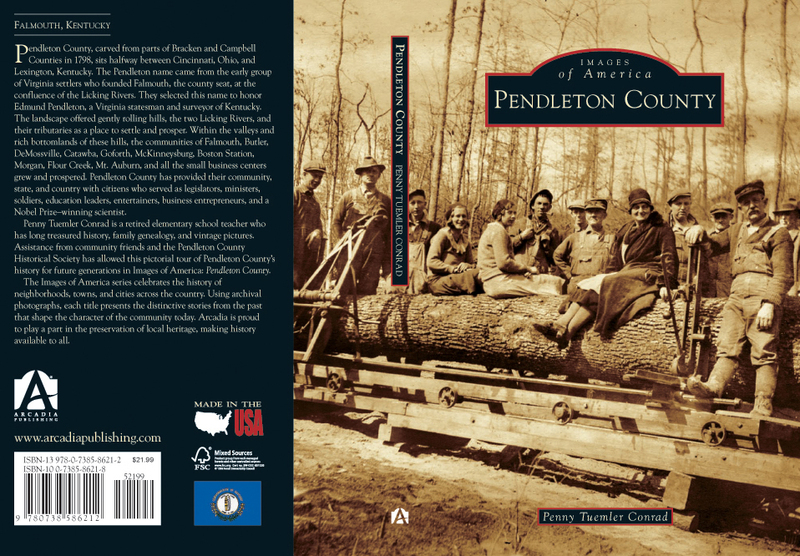 Penny Conrad's Book is still available at Wyatts and at the Falmouth Outlook. You may also order books through Sandy Craddock and pick your book up at any PCHS meeting. Barton Disks available See Below!